As you have probably guessed, Monte wants you to fly some missions before he will help you. I hope you have some money left since he isn't paying you. The first task for you is to transport him to New Detroit, which is quite a public place considering he is supposed to be scared that people want to kill him. Objectives Fly Monte to New Detroit and meet him in the bar once you land. Only two Unknowns at the jump to New Detroit, but you still have to wonder who they are. Other than those guys, just the random mix of pirates, Retros and Kilrathi to face. Monte reveals that the reason for the increased Retro activity is their unity under one leader, a man named Mordichai Jones. Very little is known about him at this point, however if the Retros are to be stopped, he must be destroyed. Monte sends you to see a contact who may have more information. 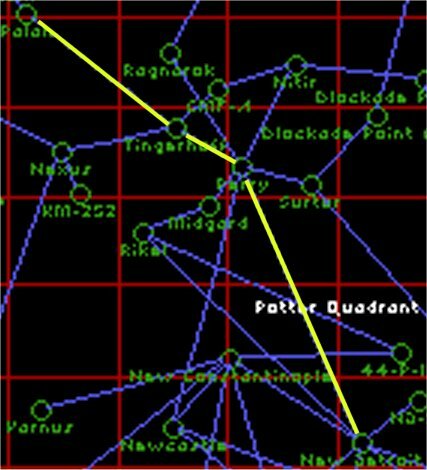 Objectives Fly to Drake base in the Capello system and meet contact in the bar. Although there are no scripted encounters, you can expect various random encounters, and you're almost certain of pirates in Capello since it is a pirate system. When you reach there, head to the bar and talk to the Informant. Monte tells you that Mordichai Jones is hiding out at a secret Retro base, but obviously no one knows where it is. The Retros are also after Monte since he is also on their "Most Wanted" list and he wants you to take out their ambush. Oh well, at least he is paying this time. 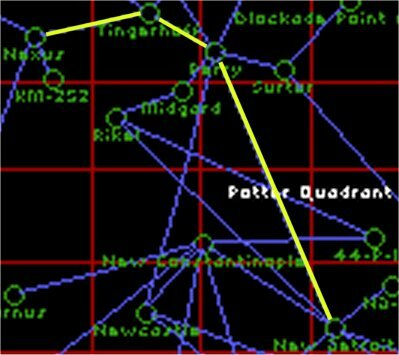 Objectives Fly to Nexus system Nav 4 and destroy Retro ambush. Two unknowns before jumping in to Nexus. Use these as warm up practice, and save your missiles. Once you reach Nexus Nav 4, you'll be attacked by 10 Retro Talons. They must really want Monte dead, however let rip with your missiles and you'll be fine. When done, return to New Detroit and speak to Monte. Monte has no more information on Mordichai Jones, however he does have vague information on the whereabouts of Governor Menesch. If you can wipe him out, you can claim all of the bounties being offered on him. Objectives Patrol Troy and look for Governor Menesch. If you can't find him in Troy, search the surrounding systems. Menesch and his forces at Nav 1 Regallis. Again the 3 unknowns serve as practice before the big fight. Save your missiles until you find Menesch. There is nothing stopping you from landing to restock on jump fuel before doing your search. 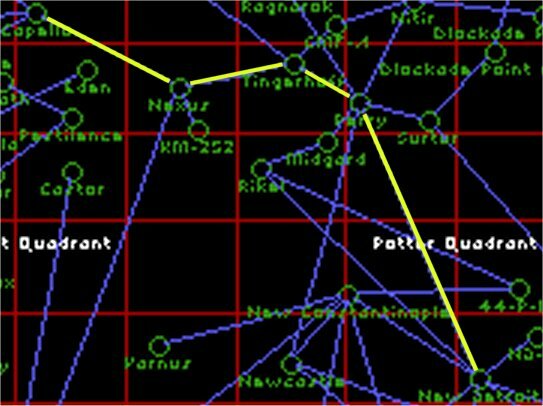 Menesch is sitting at Nav 1 in Regallis system, although his location may vary depending on what the game feels like doing. He'll run for the jump point and jump out. Let him since you can't damage him yet. You can either take out the 12 fighters which turn up when he runs for the jump point or jump straight after him. There are 6 of the fighters on the other side of the jump point too. That means 17 in total including Menesch himself. I think you're probably best off if you just jump straight out. Menesch lets on that he sold your gun to the Retros and the unknown ships you've been facing are also Retro ships. Dealing with him will severely damage the Retros' efforts, but you still need to handle Mordichai Jones. In the meantime, head to Lynn Murphy at base Edom in New Constantinople to collect your reward for killing Menesch, then head to Sandra Goodin at Perry Naval Base for her reward and your next mission. Comments : You can also get your record wiped clean so that you are neutral with pirates, confed, etc. from Roman Lynch. If I remember right, he's in the Pyrenees system. Comments : you actually start in Nexus, not in Palan as the guide says.